Both AT&T and O2 have decided to charge you extra to be able to use tethering on your iPhone even though you have unlimited data with your iPhone plan. 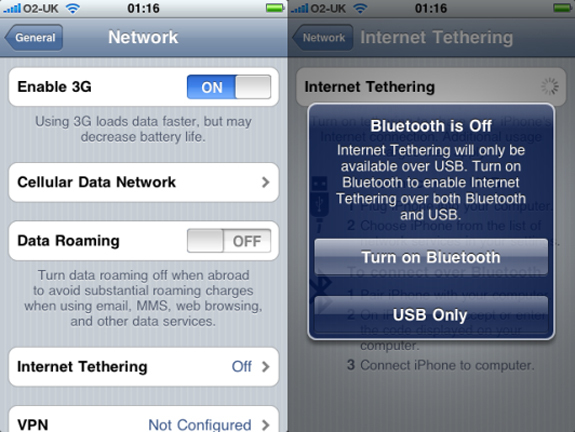 You can now enable free tethering on the iPhone 3G, on iPhone OS 3.0 using the following guide over at Richard Lai’s website. I have just tried this method and it is easy and quick to set up, it basically uses a mobile config file that turns the tethering on, and it works with all providers.